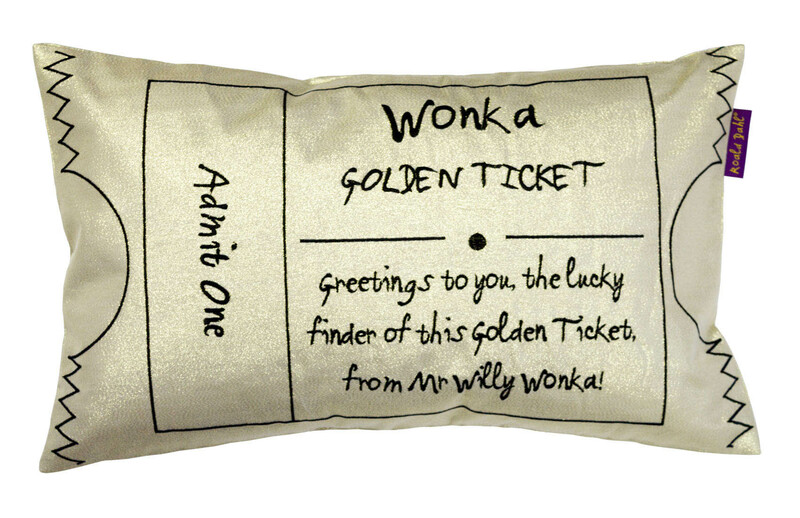 Bring some Roald Dahl magic to your child's bedroom with the Fantabulous Wonka's Golden ticket cushion. The Golden ticket from Charlie and the Chocolate Factory has been recreated so you can now have your very own winning Golden ticket. Beautiful embroidery sits on a wonderfully golden metallic fabric.